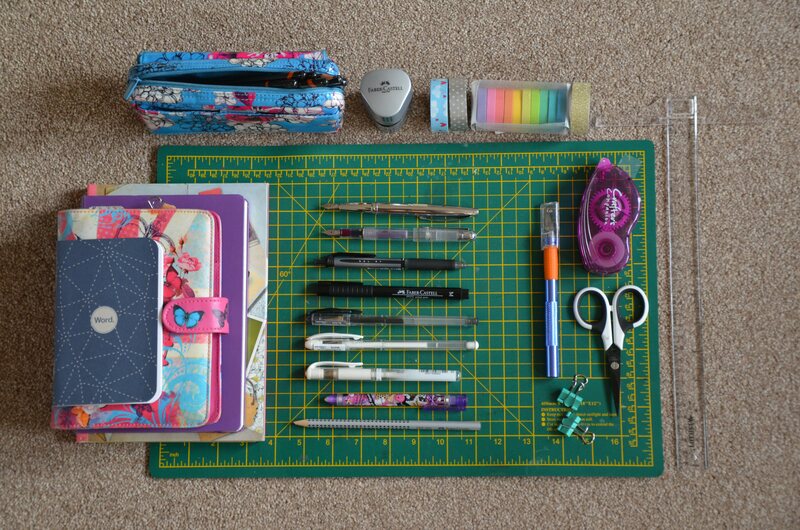 I’m Reema – a stationery addict, planner girl and crafter. I’m in my 20s, working and living in the UK (or more specifically London). My full-time job involves me working in the charity sector, in the fundraising team where I specialise in communications & social media. But if I didn’t work for a charity then I would, most definitely, go into stationery, planning or crafts and so, my blog allows me to focus on those passions of mine. Aumsome is where I share anything and everything related to Stationery, Planning or Crafts. Reviews, haul posts, tips, how I use things, my favourite items, anything… I like to share discounts whenever I can and only recommend products that I enjoy using. Where did the name “Aumsome” come from? For a stationery, planning and crafts related blog (or even for most people) the name “Aumsome” means absolutely nothing, right? Correct. However, to me, it means a lot. Aumsome is an amalgamation of “Aum” with “Awesome”. Aum (also spelt as Om) is an important sound in Hinduism and is often the symbol associated with the religion too. Hindus often say the word ‘aum’ in a prayer. I believe the meaning of aum can vary between different types of Hindus. For me, however, it is the universal sound of peace and signifies peace, kindness and selfless service. In particular, I associate it with peace and selfless service (such as doing a good deed – let’s not get into the discussion of whether you can have a truly selfless good deed or not!). That’s a personal thing, more so than a direct dictionary one. A friend of mine (many years ago) saw how much volunteering I was doing, how much I loved helping others and quickly coined the term in reference to me. He was saying that I was “awesome” for doing so much volunteering and then joked, “no, I mean AUM-some”. Since then, the name stuck. It reminds me of being selfless, volunteering, spreading the love to others. It’s a constant reminder of that I should aim to be awesome through kindness, love and care. In terms of stationery, it doesn’t mean much. But for me, it means a lot and I wanted to take this moment to share the meaning behind the name of my blog so it might make more sense to anyone wondering where it came from!